Stand out for the right reasons with our premium quality PVC Banners, at a great value price. These banners are built to last with full colour and high resolution printing on tear-resistant PVC. Plus they are perfect for indoor or outdoor use, thanks to their water- and weather-resistant properties. Available in any size, from 200 x 200mm to 4890 x 2500mm. Choose our 440gsm PVC Banner for a great value custom banner, supplied trimmed with eyelets for ease of hanging. Or choose our Premium 510gsm PVC Banner for an even more durable banner which is supplied with hems and eyelets for quick and easy use. These inexpensive custom t-shirts are our best priced business t-shirts, but they are still of a high quality. We use a screen printing method to ensure your client’s design lasts, and t-shirts are jersey woven for a lightweight feel. 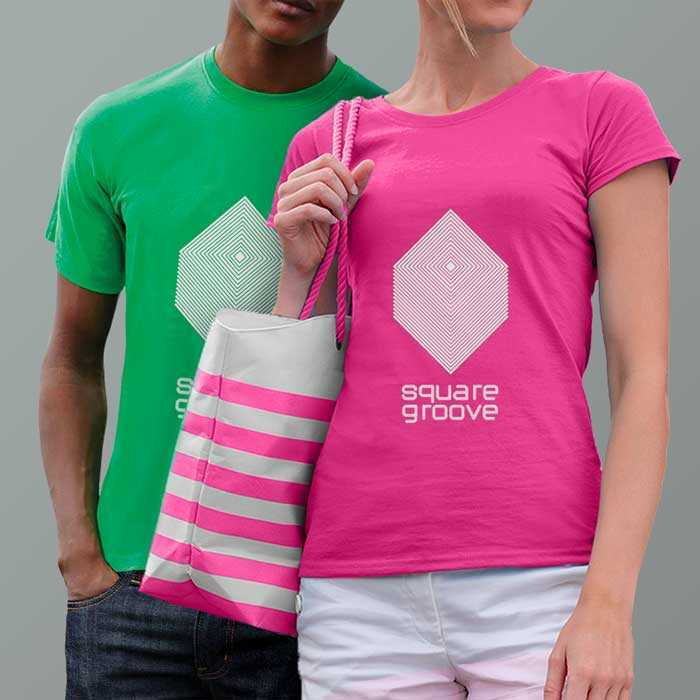 Printing is available single or double sided on the front, back or left chest, with 15 t-shirt colours to choose from to create a completely custom t-shirt for your client. 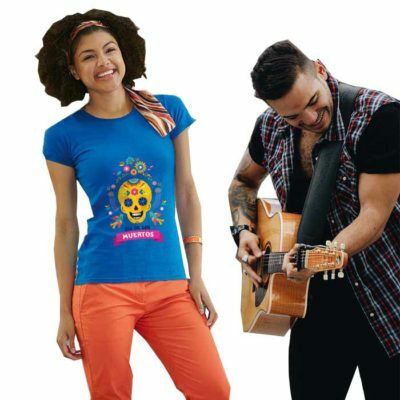 Promotional t-shirts weigh 145gsm, are jersey woven and 100% cotton, except the grey colour which is 97% cotton and 3% polyester. Choose from men’s and women’s sizing, from small to XXL. Our Basic T-Shirts offer a unique promotional opportunity. Help your clients achieve greater awareness when staff, customers and prospects wear their branding. Branded workwear ensures your client’s staff stand out from the crowd with uniforms proudly displaying the company logo and corporate colours. Alternatively, incorporate your client’s details into an attractive design, and use these personalised t-shirts as a giveaway at events and exhibitions. 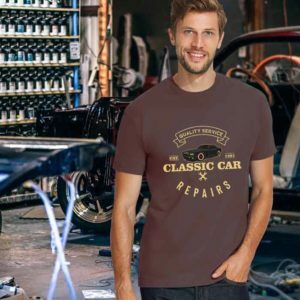 Classic T-Shirts are the perfect blend of quality and value. 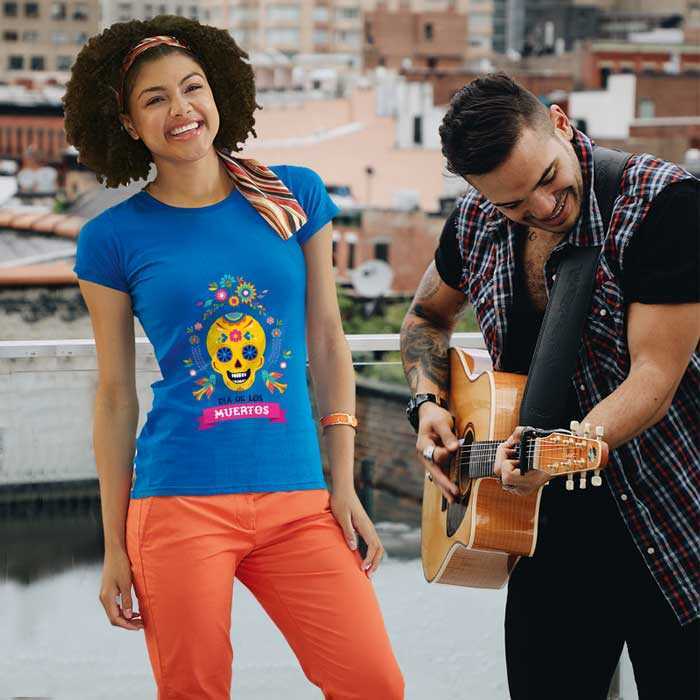 These inexpensive t-shirts are made from softspun cotton material for comfortable everyday wear. Plus, they are screen printed so your design will stay vibrant wash after wash. These t-shirts are perfect for every use. From promotional giveaways at trade show and exhibitions, to staff uniforms and fashion garments. 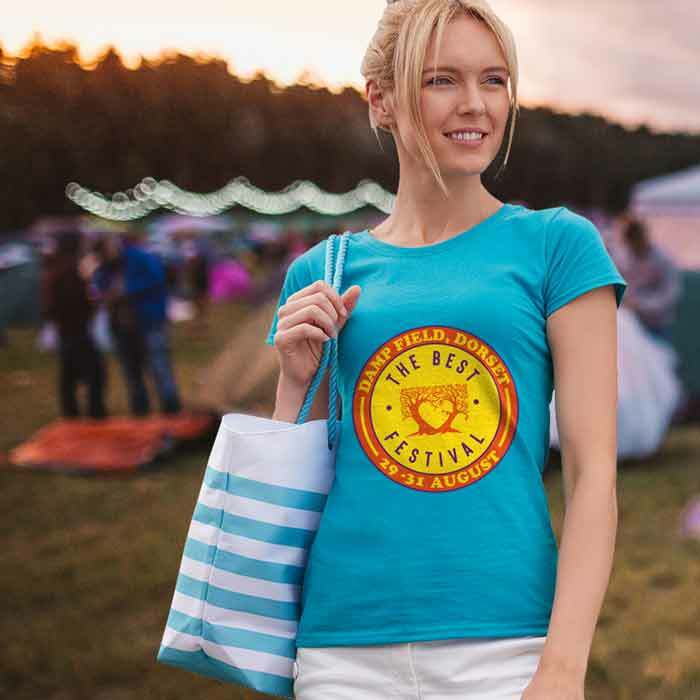 With a minimum order quantity of 1 and a maximum order of 500 items, these branded t-shirts are perfect for wholesale and business use. High Quality T-Shirts are the most premium t-shirt in our range. Made from 100% ringspun semi-combed cotton, these 190gsm weighty t-shirts are made to last. These screen printed T-Shirts are the ideal choice for printed workwear as they won’t fade over time. Uniforms must stand the test of time and be washed over and over, so you need a t-shirt that will last. Our High Quality T-Shirts have 20 colours to choose from, so you can select a colour that best suits your clients’ branding and set your client’s staff apart! 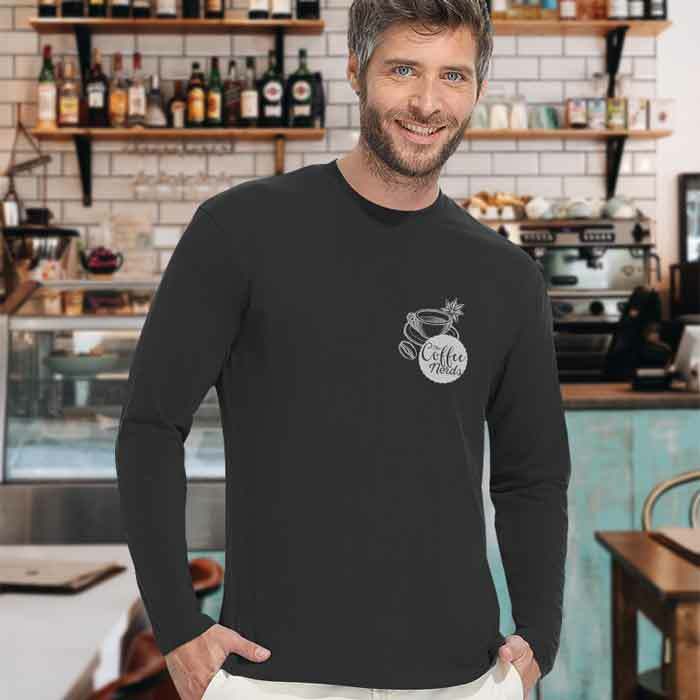 Our printed Long Sleeve T-Shirts are the perfect workwear option when your client’s staff work outside or in colder climates. These work t-shirts are screen printed on to a thick 190 gsm cotton material to provide a high quality finish, perfect for uniforms that will be worn time and again. 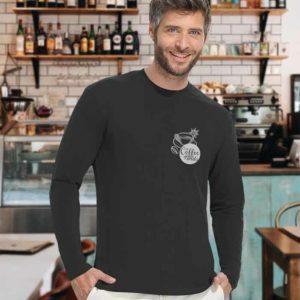 We offer men’s Long Sleeve T-Shirts in sizes Small to XL, and women’s slim fit Long Sleeve T-Shirts in sizes Small to XL. Choose from 8 colours, with printing single or double sided on the front, back or left chest to suit your client’s branding and your design. Order from 1 to 500 units per order. Our Slim Fit T-Shirts are comfortable and stylish; the perfect choice for fashion t-shirts. Choose from black and white to display your client’s designs or company branding. Made from semi-brushed cotton, these t-shirts are super soft to the touch and less likely to bobble. Slim Fit T-shirts are screen printed onto durable 190gsm textured ringspun cotton, so they can be worn and washed many times without fading. T-shirt screen printing is available on the front, back or left chest. 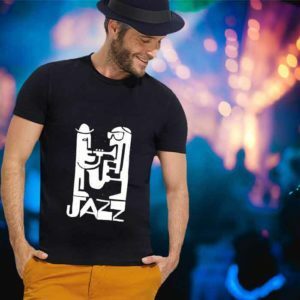 Choose from women’s and men’s Slim Fit T-shirts, in sizes from small to XXL, and order from 1 to 500 items. Achieved significant improvements in our cost per conversion. The team that has been assigned my site continues to demonstrate great communication and knowledge regarding not only link building, but also on and off-site SEO practices as well. When we initially took up their services, we were worried that being a very busy company, the communication wouldn’t be good. Luckily we were wrong, because they are always prompt and punctual in all their communication, whether it be by email or telephone. I would definitely recommend. One way of making a business advance is when you find a suitable partner. We consider Shane Media our business partner because they has helped our business grow. We initially started with Google Adwords, but soon decided to use their full SEO services. Keep up the Great Work Guys. Shane Media are unique with how they handle projects. They never quit until they reach the agreed objective. Shane also advised us on what to do and what to avoid for us to stay ahead of the tight competition in our niche , Thanks for all your help guys. Increase Your Online Exposure - Start Today! Have you implemented SEO or Social Media Ads in the past? What Is The Value Of A New Client To You Pound Wise? Please Choose Which Method Best Describes How You Found Us.